Classic beauty. Asphalt shingles are a popular choice for homeowners who want a durable roof that looks like wood or slate. Dula Construction offers a wide range of roofing shingle options from leading manufacturers. From cost-effective three-tab shingles to high-performance specialty products, we can help you choose the right shingle for your home and budget. Call us at 1-855-763-9167 or click below to request an in-home consultation and learn more about the shingle types we offer, along with the types of warranties. We provide free shingle roofing cost estimates for roofing services in Matthews, Weddington, Indian Trail, and nearby. These homeowners wanted a complete face-lift for their older home. 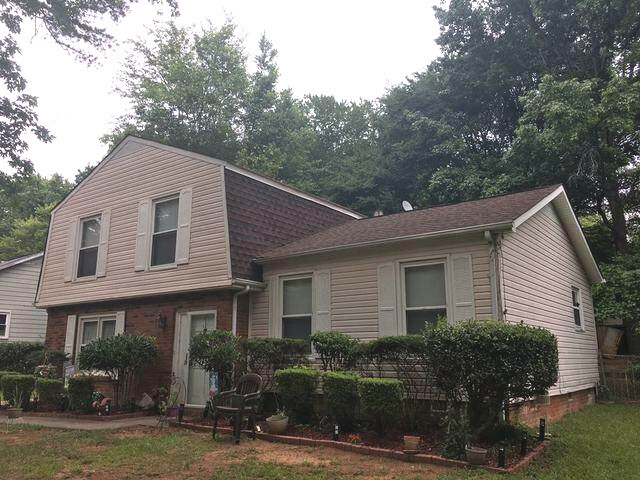 Our crew removed the old siding and roofing and replaced them with Hardie C Plus siding and a new Certainteed Landmark shingle. The homeowners are thrilled with the refreshed look of their home! What are the shingle types we offer? Cedar shake shingles provide a long-lasting roof with more visual appeal than a traditional asphalt shingle roof. Cedar shingles are ideal for hot and sunny areas because they are resistant to UV damage. They can also withstand harsh weather conditions, such as strong thunderstorms and hurricanes. Cedar is a natural insulator and can reduce your heating and cooling costs. "We chose you because you are local and you did my house roof before." We chose you because you are local and you did my house roof before. "We had an issue with one portion of the install which required post..."
Whether you're replacing your existing roof or installing a brand new one, we offer high-quality roof shingle products, no matter what type you choose. Your roof will be installed by experienced contractors so you will have peace of mind knowing your roof will provide lasting protection. Contact us today to schedule your no-obligation consultation for roof replacement, new construction, or roofing repair. We will help you choose the right shingles and provide a free cost estimate for your project. We proudly offer professional installation in Weddington, Matthews, Indian Trail, Concord, Mint Hill, Gastonia, Charlotte, Huntersville, Kannapolis, Rock Hill, and the surrounding areas.